It's been a shameful five weeks since our last update, but we haven't been sitting on our thumbs (or twiddling them) in the mean time. The LCD monitors we've been waiting for for such an ungodly amount of time are supposedly en-route to our manufacturing facility, which is beautiful news, because it was the final piece of the puzzle. It's like this Triggertrap is in a tiny little coffin. Poor little Triggertrap. Luckily, it can be revived with a set of AA batteries. Hurrah for modern medicine! Can you spot the problem? Yup, the LCDs are way too dark - but if you look carefully, it IS possible to read what it says. (Touch MODE). This means two things: 1) The Triggertrap is working and 2) all we have to do is to fix the contrast on the LCD display, and we're ready to go. Just testing the laser trigger - for more, see the Flickr group we set up for Triggertrap. The next few steps are that the manufacturers are going to send a fully assembled Triggertrap to our electronics wizards over at Nomi, who are going to check that everything is working and has been assembled to the standards we need. Once that's done, we're going to 'press the button', as they say, and get the machinery started. Manufacturing shouldn't take more than three weeks, which means that Triggertraps should be ready to ship in April, as we have been hoping since January. If it turns out we will be able to ship the Triggertraps as they are ready, we'll try to ensure they are shipped out in the order they were pre-ordered; so the early Kickstarter backers first, and everybody else in sequence. 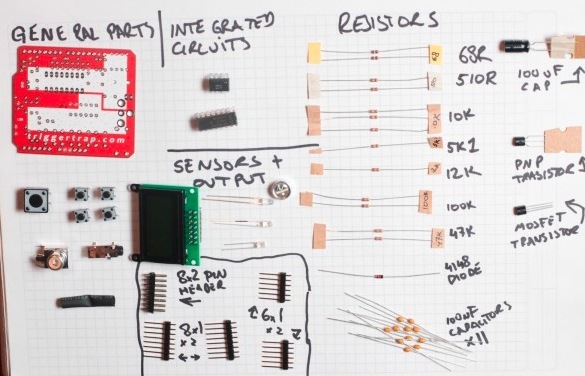 From pile of components to Triggertrap Shield in two-and-a-half-score easy steps. The shields are pretty much ready to go as well, and since they are self-assembly kits, there's no 'manufacturing' (other than the PCBs) and no 'assembly' (other than taking all the parts and putting them in a box for shipping), so we're hoping they'll also be ready to ship around the same time as the Triggertraps themselves. If you want to refresh your memory about the shields, check out our rather spiffing Assembling your Triggertrap Shield page, which talks about all the parts, and has an in-depth step-by-step guide for how to assemble your triggertrap shield. If you want a shield in addition to your Triggertrap, hurry and order yours in the Triggertrap Shop, (Remind us you're a Kickstarter backer, though!) and we'll try to get them both shipped together - spiffing, because you wouldn't have to pay an extra set of shipping! Hurrah! 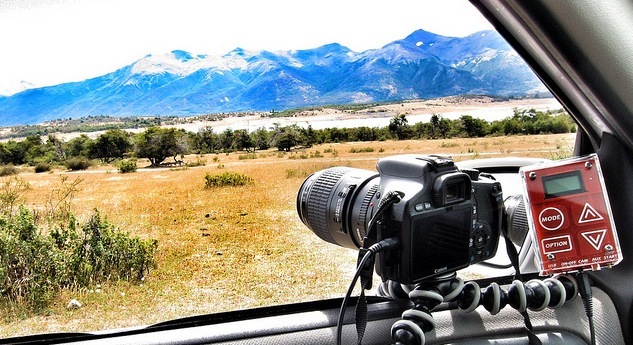 Testing the Timelapse feature in Patagonia, Chile. We appreciate that a lot of you have moved house, or perhaps swapped cameras since you filled in our Backer Survey. Before we ship, we'll send out an e-mail confirming the address we have on file for you, along with any cables you've ordered. Take a close look and let us know if there's a mistake there - we'll update it for you. If you have any questions in the mean time, you can e-mail our awesome pre-sales support team (okay, it's just Haje, but it's on a different e-mail address, so it's easier to keep track) on orders@triggertrap.com. The software for the Triggertrap v1 and Triggertrap Shield will be released on the Triggertrap Github account as soon as we start shipping; we'll post another update when that happens! I can't believe it's nearly a year (we started making the Kickstarter pitch video in May 2011). Creating this baby has been pretty intense, there's no doubt about that - but we haven't been sitting still either. We've been dreaming up ways of making the Triggertrap even better - and to do so, we want your suggestions, comments, and encouragement. To make that happen, we've set up an account on Get Satisfaction, where we're hoping to spark some discussion and some great ideas for things we can add to the Triggertrap in the future, whether that is through software updates (boy, am I glad we included an USB port...), hardware modifications, or perhaps even a whole new version of the Triggertrap. After the Triggertraps start shipping, there probably won't be any more updates from us via Kickstarter. Instead, we've created a mailing list for those of you who want to keep abreast (heh, I said breast) of any future developments of the Triggertrap. Sign up if you want to stay in the loop! Stay awesome, thanks for your continued patience, and put the champagne on ice; the wait is nearly over! I've just realised that our last update to you was in December... Which I admit is a very long gap between updates. So, since this is the year's first update via Kickstarter: Happy new year! 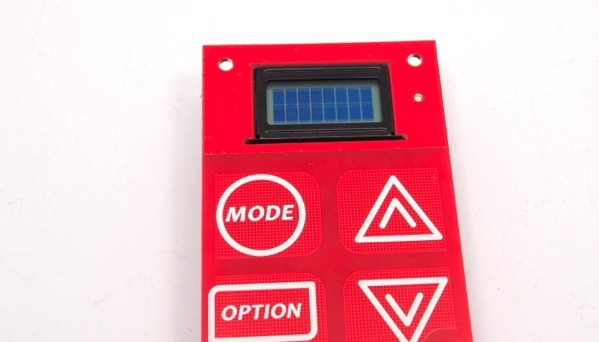 The main reason why we haven't posted any updates, is that there hasn't really been much that has been worth updating on; Production is frustratingly slow, and is being held back mostly by the LCD displays that had to be especially made for the Triggertrap, and the casings. 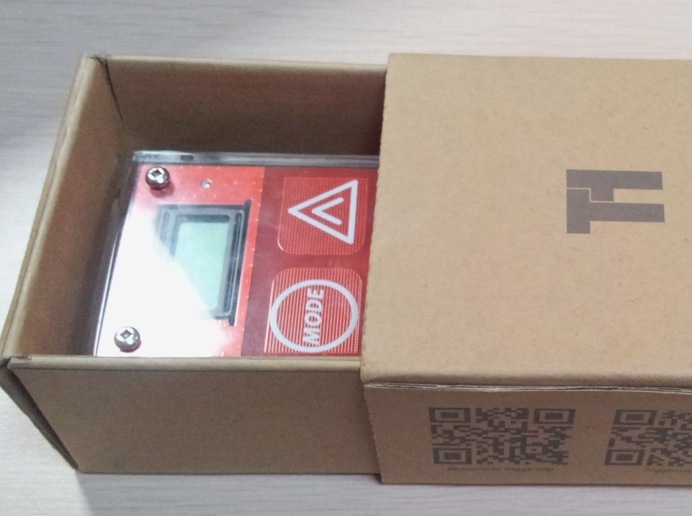 The casings are due at our factory this month, but the LCD displays don't arrive until mid-March, which means that our current estimated shipping date remains 'April'. The Triggertrap Shield is ready to go into production, and we're hoping to get started on that early next week. Since the LCDs are what's holding back the shields as well, I we believe this will also be ready in April. I did a quick timelapse of me assembling a Triggertrap Shield, along with the full set of assembly instructions. The Triggertrap User Manual is further updated. Sorry there isn't much exciting news to bring, but we're slogging away to bring you your Triggertraps - and we're as excited as you are to finally get to play with the final version! ~ Haje & the rest of Team Triggertrap! The Triggertrap Shield for Arduino (known as TT-K) was priced at $75, but we discovered that it was less expensive to produce than we had calculated, so we're dropping the price to $49+postage going forward. Note that this is the price for a Triggertrap Shield without a 'duino, so for those of you who ordered one at $70, you can raise your glass in the knowledge that you're still getting a great deal, despite the 33% price drop. The Triggertrap device (known as TTv1) remains priced at $125+postage. A lot of you were wondering if you can use the Triggertrap to photograph lightning. The answer is 'yes'; there's an easy way (that works with the standard Triggertrap, without any modifications - simply turn on the Ambient Light sensor, and it works! ), and a harder way that involves using two cameras firing alternately. We have published the Triggertrap User Manual. You probably won't need it, and if you're anything like me, you'll never even look at it. But if you get stuck, it's there, in the interwebs. For those of you who ordered the Triggertrap Shield for Arduino (or 'option B', as we called it in the Kickstarter pitch), we've started putting together the build guide. For now, there's an interactive parts explorer and an introduction video. Expect the how-to guides to start showing up on Triggertrap.com in the next few weeks. We did some speed tests of the Triggertrap. It's fast. How fast? This fast. We have published the specifications for the Triggertrap Aux port, in case you want to create your own sensors, or integrate the Triggertrap into your own projects. We added support a load of new cameras; the Triggertrap can now trigger nearly 300 different cameras. We tried to find out how long the batteries in the Triggertrap will last. In Timelapse mode, we're probably looking at around 5 months(!) of use. No, that's not a typo. Our PayPal account was 'limited' by PayPal, and they're holding the money from the pre-orders hostage. Deeply inconvenient but that's the way of PayPal, apparently. Don't worry though, the Kickstarter money is safely in the bank account of Seeed Studios, who is manufacturing the Triggertrap for us as we speak. 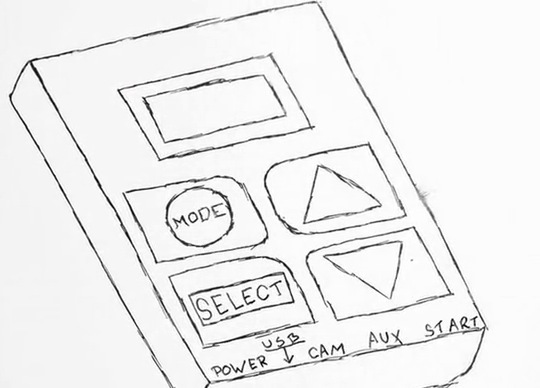 We came up with a load of crazy ideas for sensors you can use to trigger your Triggertrap via the AUX port. Nothing changed here, but since it's a frequently asked question it bears repeating; we're still expecting 'around Valentine's day' for the Triggertrap device, and 'March 2012' for the Triggertrap Shield for Arduino. We're already talking to a lot of you on Twitter, Flickr and Facebook; join the fun! If you're of the Christmas-celebrating type, then have a very merry Christmas indeed, and if you're not, well, have a great couple of weeks at the end of the year anyway! Ladies and gentlemen, the time is finally here! It's been crazy busy here at Triggertrap Towers, but it looks like we've finally passed through a finish line of sorts, and are ready to throw the Triggertrap into production! I know this is a moment you guys have all been waiting for for bloody ages, and believe me: Nobody is as eager as me to get this thing out there. The next few steps are ordering all the components (That’ll be a fun order, of more than 11,000 ceramic caps, 4,000 electro caps and some 19,000 resistors – to just pick a few of the most outrageous numbers), shipping it to the factory, and starting manufacturing! Ordering parts is going to take about 4 weeks, and actual production will take 6-8 weeks for all the Triggertraps to be completed. We’re currently talking to the factory to see whether it’s possible to start shipping them to you guys as soon as they come off the production line; obviously, that would be a lot more awesome than having a few thousand Triggertrap devices just sitting in a warehouse being bored. I don't know how closely you've kept an eye on Triggertrap.com or the Triggertrap page on Facebook, but there's been a lot of news over there recently, including the results of some of the testing we've been doing. We've done a load of Timelapse tests to determine how well the Triggertrap performs. (spoiler: Very well indeed). 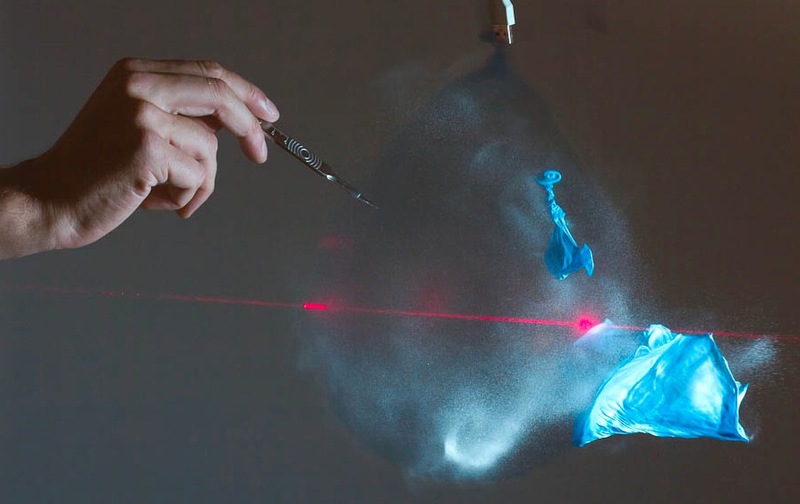 We found out that the Triggertrap sound trigger is very fast indeed - fast enough to take a photo of a balloon as it pops. We've completely updated our supported cameras list. When your Triggertrap arrives, please do let us know how it works for you, so we can confirm more cameras, and add any notes about cameras that are being a little quirkier than others. In the next few weeks, we'll be publishing the code for the Triggertrap on Github, making it fully open-source - and when we do, here is the instructions you need for how you can update your Triggertrap's software, whether you want to install the most recent software, or whether you would like to hack away at your heart's content. The downside of this is that we’ve overshot our deadline; I have been saying ‘before Christmas’ all along, but it seems as if it was just too optimistic. Nonetheless; if we manage to order the parts this week, and everything else goes to plan, it means that the Triggertraps will be winging their way out into the world around Valentine’s day. Guys, we want to thank you all so much for your never-ending support and encouragement. It's been one hell of a ride, and we're nearly there. So: if your address has changed, but you haven't told us about it yet, please e-mail us on hajejan+triggertrap@gmail.com so we can update our shipping list. Finally, we've posted photos and a video walk-around of the final prototype of the Triggertrap, so you can get a proper taster for what it'll look like! I'm starting to get a few communications (via the Facebook group, the web-site, here on Kickstarter, and e-Mail), with people who are getting quite excited about receiving their triggertraps. It has to be said that some people's excitement is less, er, polite than others*. I just wanted to address the question of shipping dates once again. The key thing to keep in mind is that we've been saying "before Christmas" right from the start of this project (with the hope of getting the TT's shipped out to you earlier). I know November is just around the corner, and that some eager shops have already started stringing up inflateable santas and playing "please buy more stuff" music, but (luckily?) that doesn't mean it's Christmas quite yet. We've been working really, really hard on making Triggertrap become a reality, but at the same time, is that I've never created a brand new product before in my life. To me, this is part of the excitement of Kickstarter - seeing people make their dreams come true. In this case, it's my dream of creating a photography gadget that more than 1,000 people are eagerly awaiting. It's a beautiful thing - but obviously there's a lot of pressure on me and the rest of the team at Triggertrap Ltd: We're currently in the testing phase, and we really, really don't want to send out a device that doesn't work properly. We keep running into minor setbacks, but for every setback, we are learning another lesson, and are given the opportunity to create a newer, better, faster, and stronger Triggertrap. For example, it turns out that the 168-bit ATmega chip in our original design wasn't beefy enough, so we've swapped it out the much less vegan ATmega328-based chip. We've also done a load of other minor design changes, both as a result of the new chip, and as we figured out that some of the ideas we had originally would work a lot better if we implemented them slightly differently. We've thrown some new features in for good measure (after people came up with some great suggestions on the Triggertrap.com website), but we've also had to reconsider some of the other features. The bad news is that we won't be able to make it water-resistant, as we had hoped initially. The good news is that if you need the triggertrap to be 100% water-proof, we came up with a cheap solution for that. Another piece of bad news is that we weren't able to accommodate the cable requests for about 2-3% of you - but the good news is that we've sent out/are sending out the components you'll need to build your own cables, and we're giving you an easy way and a more advanced way of doing this. Misunderstand me right, ladies and gentlemen: I'm wildly excited about the Triggertrap, and I do want this thing to be as good as it can be within the constraints of time, and budget. Please do remain patient for just a little while longer: I'm sure that, given the choice, everybody would prefer to wait another couple of weeks for a Triggertrap that works smoothly and can help you create awesome photographs, than the prototype I currently have on my desk, which works well, but does have a couple of annoying niggles that we're working out as we speak. So... About that shipping date? So, finally, the answer to the easily most-asked-question on everybody's minds... Is that if everything goes to plan, we're still aiming to ship these babies out 'before Christmas'. Stay tuned, stay awesome, and keep an eye on Triggertrap.com for further updates. Of course, I'll also announce it with an update here on Kickstarter when we're ready to start shipping! Haje & the rest of Team Triggertrap. *) Footnote about some e-mails being more polite than others: Most esteemed backers, we're trying our best to deliver an awesome piece of kit. I would say, however, that I am emphatically not here to take abuse from people who don't really understand what Kickstarter is all about. Please let's keep things civil, shall we? Thank you.